I recently attended a one-day workshop on how to manage people effectively. It was very helpful, and it included the showing of a video (“The Practical Coach: Encouraging, Correcting, and Challenging Your Team”) that was helpful too. 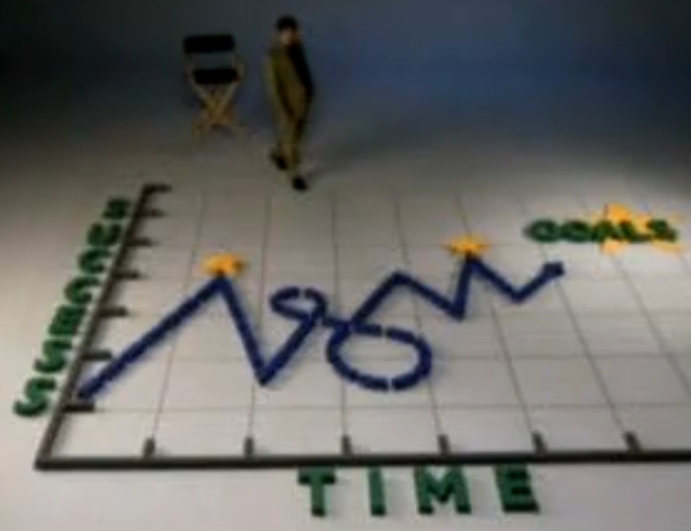 One of the less helpful aspects of the video was its use of the following graph, meant to represent one’s journey toward achievement of professional and personal goals. The X axis is TIME and the Y axis is SUCCESS. Anyone see a problem? On the graph, traveling back in time seems to be associated with decreasing, or at least non-increasing, success. Presumably because creating temporal paradoxes gets in the way of achieving one's goals. Maybe those are memory loops. We time travel with our minds all the time.